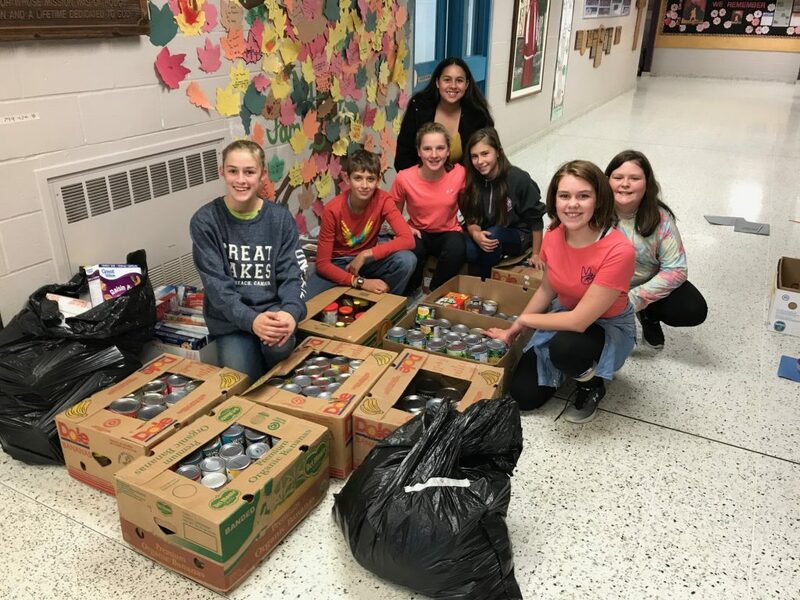 The kids at Monsignor Michael O’Leary organized a food drive-with-a-twist in support of Manna. Here are some of the CAN-struction workers — Adrianne, Will, Mary, Kaleigh, Jada, Jadyn and Maddie. Their campaign was called ‘CAN-struction’ to encourag creativity in the building of structures with cans of food. It must have sparked their imaginations. The students’ generosity, creativity and sense of fun resulted in over 400 items being collected. Well done!